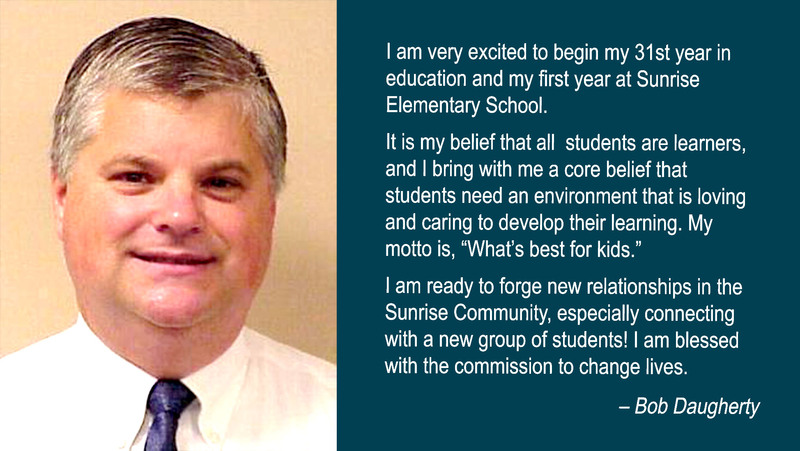 Welcome, Bob Daugherty, Sunrise Elementary School Principal. It is in my nature to be a servant leader. I believe that teachers are key to the development of our future and that their work is demanding and difficult. School support staff play a vital role in the nurturing and care to ensure our students’ safety and well-being. For these reasons, I believe my job is to support these professionals so that they are at their best for students. 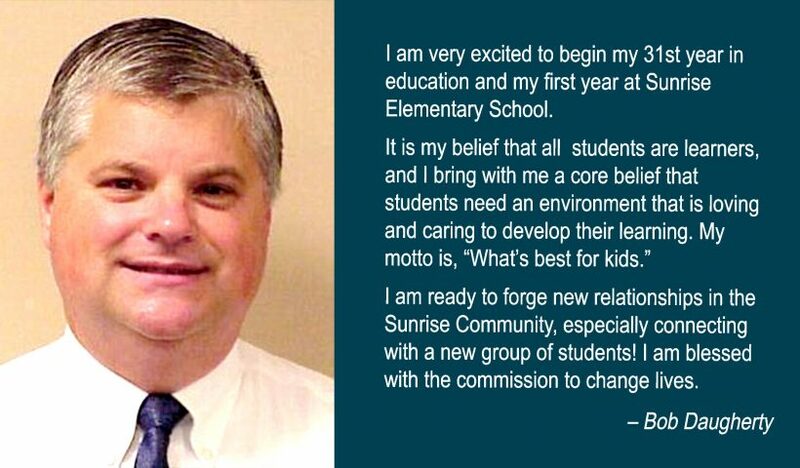 I am ready to forge new relationships in the Sunrise Community, especially connecting with a new group of students! I am blessed with the commission to change lives.